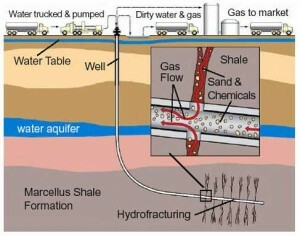 ‘Fracking’ is an umbrella term commonly used to describe a range of extreme energy drilling techniques. The name is derived from hydraulic fracturing (hence the word ‘fracking’), which is a method of extracting difficult to reach natural gas. 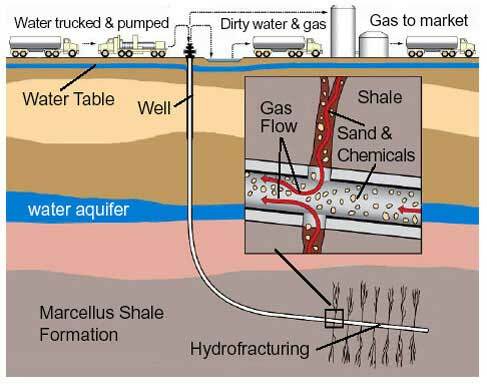 Hydraulic fracturing works by cracking the earth’s crust using hydraulic pressure. Wells are drilled and a cocktail of sand, toxic chemicals and millions of gallons of water are injected into them under high pressure to fracture the rock. Fracking’s global expansion is being driven by an explosive growth in shale gas extraction. As opposed to more conventional natural gas deposits that are trapped below a layer of impermeable rock, shale gas is natural gas trapped in impermeable shale rock. Therefore, simply drilling down to it is not enough. The rock must be fractured in order to allow the gas to escape. What is coal bed methane extraction? Coal Bed Methane Extraction (CBM), also known as Coal Seam Gas (CGS), is an extreme drilling technique used to extract methane gas from coal seams. Coal seams are drained of the potentially toxic water they contain using purpose-drilled wells, which are often then fractured by pumping them full of millions of gallons of sand, toxic chemicals and water at high pressure. Underground Coal Gasification (UCG), is the most insane practice of all. It entails setting fire to coal seams, often after CBM has been pushed as far as it can go. It is a process for exploiting coal that cannot be mined because the seams are too deep, thin or fractured. The process involves the same sort of drilling technology usually used for fracking to get air/oxygen into the coal seam and then setting the seam on fire. By controlling the amount of oxygen injected it is then possible to only partially burn the coal and bring the gases produced to the surface where they can be burned to produce energy. A brew of toxic and carcinogenic coal tars are produced in the burn cavity. The process is associated with serious groundwater contamination and massive carbon emissions.